Property Info: 3 Bedroom, 3 Bath Beach Home with 1700+ sq. ft. 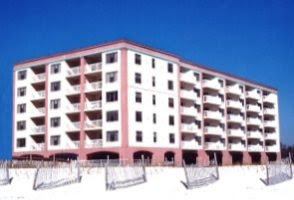 This Indigo condominium for sale in Perdido Key, overlooking the Florida gulf coast, ideal for spending time with family & friends, enjoy sunsets from the private, beachfront balcony. This beach resort home has not been rented and is in exceptional condition with 3 bedroom, 3 bath fully furnished. Some of the features of this property include 24″ diagonal travertine floors in both the living room and dining room, granite counter-tops with a tile back-splash as well as stainless steel appliances and a wine cooler in the kitchen, like new upgraded carpet in the bedrooms, custom window treatments throughout home, plus 2 private balconies offering incredible views of the Gulf of Mexico. This Perdido Key home comes a 1 year “Home Warranty Plan” for peace of mind. The Indigo complex is a private, gated community on Florida’s popular Gulf Coast – no question, Indigo is among the finest developments on Perdido Key! Secured elevators, social room with wet bar, movie theater, fitness rooms, climate controlled storage unit, approximately 6000 square foot zero entry pool, home owner desk that is manned 7 days a week, full time maintenance department plus many other amenities.